No Rotary Monday, Apr. 22. Happy Easter! 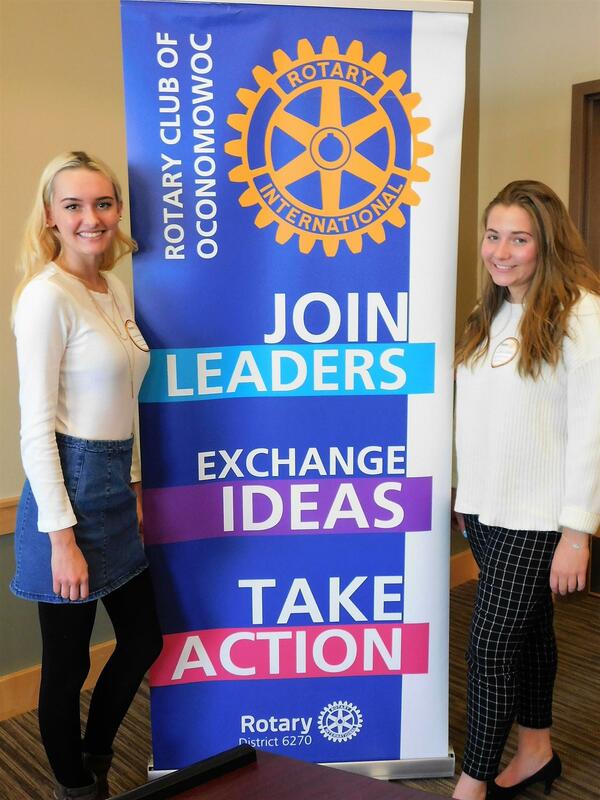 World Affairs participants Carly Robbins and Emily Hilgendorf described their inspiring moments, including learning about renewable energy, fair trade, urban farming, smart buildings and crypto currency. A field trip to the Milwaukee Water Council, learning Braille from a blind hero, and participating in opportunities that create future successes made for an unforgettable student experience. The students thanked Rotary for making the World Affairs experience possible. Family Promise of Waukesha County partners with faith-based communities and other groups, utilizing their buildings and volunteers along with our day center to provide free room and board for up to 90 days. During this time, a Case Manager connects these families to other local resources to help them develop life skills, locate housing and secure sufficient income and benefits to reestablish their own home. Families are then assisted in keeping their homes and succeeding. David R. Tennyck, Executive Director, explained that more than 1,200 volunteers serve in 15 host churches and work in support teams to prepare, serve and cleanup meals, board overnight with families with children and provide more than $300,000 in in-kind donations. Waukesha County has served more than 80 families, with a 96% success rate on retaining living accommodations years following. Monday, April 22, at 6 p.m. is Rotary Bingo at Shorehaven. Bring spring greetings to nursing home residents. Join us on May 4 for the 2019 ProHealth Care Walks for Cancer. Take advantage of the early bird pricing and register by Wednesday, March 20 for just $20 online. Website is: www.lakewalk.org Our team is Oconomowoc Rotary. Each year, the money raised at the Walks for Cancer stays here in Waukesha County to benefit our patients and their families. Your participation and support has helped us raise more than $7 million to support cancer programs and services throughout ProHealth Care. Highway pickup is Saturday, May 4 starting at 8 a.m. at Schwefel’s parking lot. Let’s clean our environment with the Scouts! Rotary Vocational Fair is Friday, May 17 from 12:30 to 3 p.m. at Nature Hill Intermediate School. We’ll address questions from more than 100 8th graders. Rotarians, contact Sarah at swberg@lho.orgto participate. This is a terrific opportunity to reach future leaders. Bring those shoes from the back of the closet to Rotary meeting this Monday, February 18 or next Monday, February 25. We will have our box there to collect them for delivery to Africa thorough Soles for Jesus. We are looking for shoes with some good wear left in them from infant sizes up to size 12. Thank you to Doug Beck who has graciously begun preparations for our annual luncheon with Oconomowoc High School's National Honor Society. Awards will be given and guest speakers will attend. More information will present in the coming weeks, but be sure to plan for the normal Monday, April 29 meeting to be held in a special location at Olympia and all Rotarians are stongly encouraged to make extra effort in attending. We estimate 105 students and a few more guests spaced out through 15 tables; Rotarians are instructed to spread out over all tables so that there is a good mix of everyone. In the past this particular event has been one of the most emotionally rewarding meetings we have as we see young people become inspired by speakers.....and of course by the suspense of scholarship announcements! Thank you to Doug Beck who has captained preparations for our annual luncheon with Oconomowoc High School's National Honor Society. Awards will be given and guest speakers preside. Oconomowoc graduate, Oconomowoc resident, and US Navy Vice Admiral Dirk Debbink will join us as the keynote speaker. Be sure to plan for the normal Monday, April 29 meeting to be held in the Westlake Room at Olympia. All Rotarians are strongly encouraged to make extra effort in attending. Pretty soon a new business is opening in Oconomowoc. The news is, though, that Sweet Mullets Brewery & Pub has already started making a name for itself. Mark Duchow, resident Brew Master, recently took top honors over 34 other established brews at the 2012 Isthmus Beer and Cheese Fest in Madison. This is significant, as Mark has not yet even opened his facility on Industrial Road on Oconomowoc's west side. Where can you get his wonderful award-winning barley pop, then? You can't. That is, not until February 11, 2012, when Mark's selections appear yet again at Brewfest sponsored by Oconomowoc Rotary! Our ClubRunner based website secures all your private information using the latest security technologies. Hosted in a world class data centre with redundant power, Internet backbones and 24/7 security and monitoring, you can rest assured that your club data is safe and protected. Your members' contact information is secured behind unique logins and passwords. Access to information is also restricted, for example, a member can only view the list of members, but can modify his or her own personal information. ClubRunner makes it easy to publish our weekly newsletter, and is sent to all members and friends of the club. The newsletter or eBulletin, is individualized for each member. Welcome to the Oconomowoc Rotary Club! A brief welcome message from our 2011-12 President. You can contact us by mail, email or in person at one of our meetings. 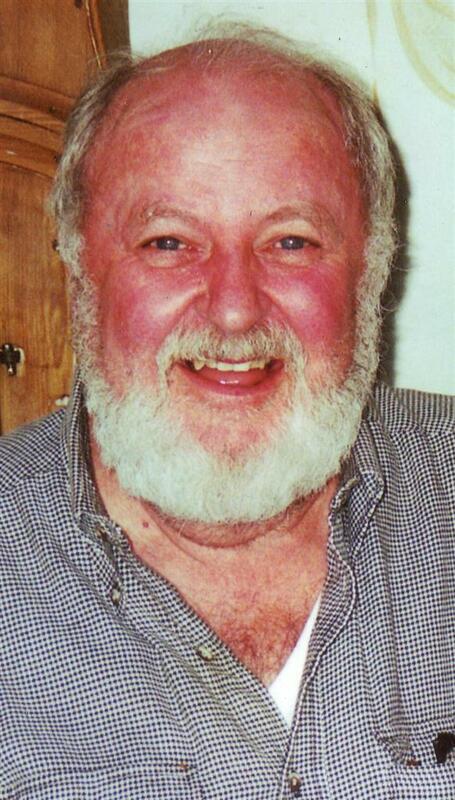 Tom Snyder (85) Oconomowoc died peacefully at UW Madison Hospital from complications of heart surgery. Born to John P and Lillian Snyder, Tom spent most of his life living in Oconomowoc, the city he loved. Tom graduated from Oconomowoc High School. He attended Marquette University for two years, and then graduated from the University of Notre Dame in 1951. He served as pilot in the U.S. Navy. After his service, he worked for a medical supply company in Maine until returning to Oconomowoc to take over the family business, Snyder’s Fine Clothes of Oconomowoc. He was president of the National Junior Men's Wear Association in the U.S. and traveled extensively. 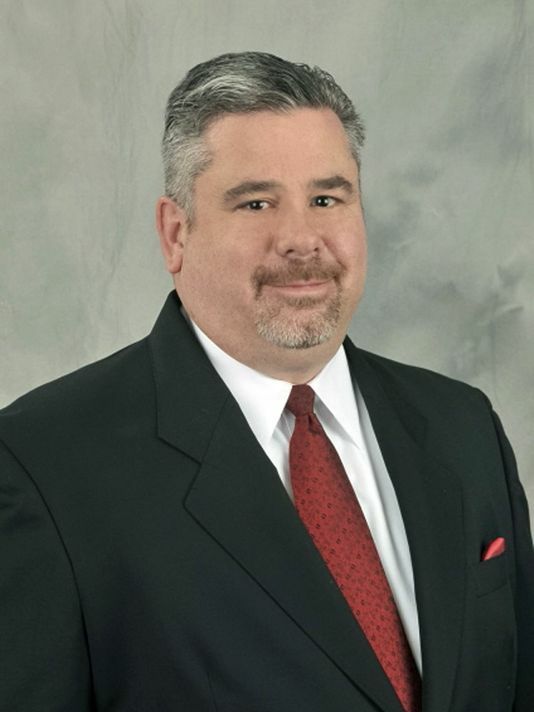 He was instrumental developing inventory management programs for retailers before there were computers. He retired in 1996 and devoted his time to family, friends, philanthropy and his community. Snyder was a lifelong member of St. Jerome Parish, a founding member of the Oconomowoc Area Foundation, a past president of the Oconomowoc Rotary Club where he was responsible for bringing the Milwaukee Symphony Orchestra to Oconomowoc, past president of the Oconomowoc Area Chamber of Commerce, One of the founders of Festival of the Arts, Citizen of the Year, a member of the Knights of Columbus, a board member at Mount Mary, a board member of the Haggerty Museum of Art at Marquette University, and a member of the Young Bachelors Club (who didn’t need to be young or bachelors). He was extremely close to his brothers John Jr and Pat and traveled the world with his adored sister Anne. People marveled at how brothers and sisters were also such close friends. Tom leaves behind a community who loved him dearly including his brother Pat (Luly) Snyder, Sister–in- law Joan (David) Hughes, his longtime companion Ramon Aguirre who was both friend and family to him and his dear friend, Maureen Stapleton. Anne & Coley Griffin and John Snyder Jr. preceded him in death. He had 14 nieces and nephews who he called his own. He was devastated when 4 of them Kevin Griffin, Pat Griffin, Mike Griffin and Joe Snyder left this world before him. A friend and peer to all of them, he rejoiced in their accomplishments, held celebrations in their honor, and introduced them to philanthropy and volunteerism. He could be seen loading them all in a car when they were young (before seat belts were required) for a late night movie or more recently, bar hopping on a bus with them for his 85th birthday. When Tom said “Cousins Party”, the cousins came! He will be greatly missed and wonderfully and gratefully remembered by Mary Pat (Tom ) Cook, John III (Susan) Snyder, Jim Snyder, Jerry (Berrin) Snyder, Bob (Gwen) Snyder, Mary (Stuart) Carlson, Megan (Mike) Welsh, Sue (Jeff) Moroski, Amy (Rick Russell) Michael (Stacey)Snyder, Lin Griffin and Tammy Snyder. He also leaves behind a generation of great and great -great nieces and nephews who loved and respected him. He was generous beyond reason and fun beyond comparison. He was wise and worldly yet grounded in his roots. He will be deeply missed and forever cherished. The twinkle in his eye has been extinguished but the glow will remain in our hearts forever. But ah, my foes, and oh, my friends— It gives a lovely light!" I can’t tell you how proud I am to be given the opportunity to represent the Rotary club of Oconomowoc as President. I must admit the responsibility is daunting because our club is over 90 years old and has a history of super achievements, we even chartered the Hartland Rotary club several years ago. The Rotary Clubs Worldwide have achieved so many wonderful things over the years that It is hard for me to believe there is a membership decline, mostly here in America. Rotary puts morality back into giving and that my friend has become very rare today. As a Rotarian you will meet some of the finest humans on our planet that will quickly become some of the best friends you will ever cultivate. As I begin my year as President of the Oconomowoc Rotary Club, I am grateful for the opportunity to help our club meet the challenge of Rotary International's theme for 2013-14 which is "Engage Rotary, Change Lives"
Whether you are interested in becoming a Rotarian or have been a Rotarian for years, your rotary service can change lives. It is up to each one of us to make this one of the greatest years we have experienced in Rotary. Locally, you can help high school students reach for their dreams with scholarships or help the entire community celebrate freedom through our Independence Day Parade. Around the world, we’ve reduced disease and death by providing clean water in Malawi, and together, 1,218,269 Rotarians have nearly eradicated polio and its devastating effects. If you would like to engage in these or many other meaningful projects, be our guest for lunch at Noon on Mondays at Olympia. Who knows? One of the lives you change may be your own. The annual Rotary Pheasant Hunt will be held this year at Milford Hills Country Club in lieu of our general meeting on Monday, March 18. We are pleased to announce that 38th Assembly District representative Joel Kleefisch will be present not only to talk on current wildlife legislation but also to hunt with us! Raffle items are needed and can be donated by contacting TJ Rinaldi. Registration for hunting and/or 5-stand is done by downloading the proper sheet (click) and returning to Mike Court. If you are a Rotarian coming for our meeting only, please respond to your event invite which is emailed to you. Fee is $180 per person which includes 12 birds on a field, 5-stand, lunch, and some refreshments afterwards. Chinese raffle and silent auction items will be offered! Stay tuned for more updates through this website and also facebook (click). The Oconomowoc Rotary Club and its Foundation split the revenue from it's most recent successful Brewfest event between local foundation donations and community support and Rotary's international campaign to eradicate Polio worldwide. 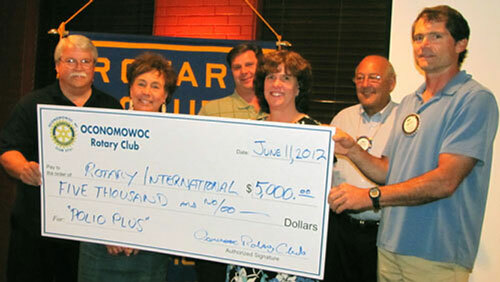 Oconomowoc Rotarians presented a check for $5,000 to the Polio Plus campaign Monday. "Until it's done, it's not done," said BrewFest Chairman Megan Welsh. Rotary International has raised $200 million to date to fight the disease. Its main objective? To clearly END Polio, reaching complete and total Polio eradication. From left, Rotary President Rick Ornberg, Brewfest Committee members Helen Forster, Bob Duffy, Brewfest Chairman Megan Welsh, Rick Eckert and Mike Herro. Boy Scout Troop 12 and Oconomowoc Rotary teamed up to pick up litter on Highway 16 West recently as part of its community service partnership. 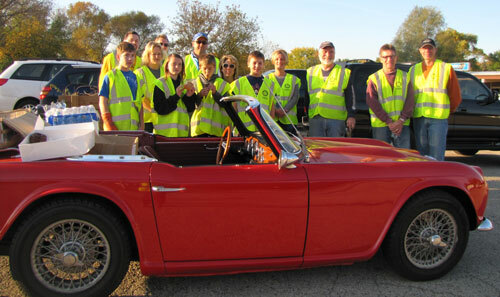 Rotarian Highway Project leader John Rodell dressed up the occasion in bringing donuts, bags and vests in his 1963 TR4 Triumph. Scouts and Rotarians perform highway cleanup duties spring and fall, and remind motorists to be good environmental stewards in not littering. The annual Oconomowoc Rotary Pheasant Hunt is set for Monday, March 26, 2012. This will also be a regular lunch meeting for club members starting at 12:30. Meeting place and hunting is to take place at Milford Hills Hunt Club in Johnson Creek. Please read on for all details. Click on the Events Tab and register today! Our new website will help us manage our activities and communications in a safe and secure manner.